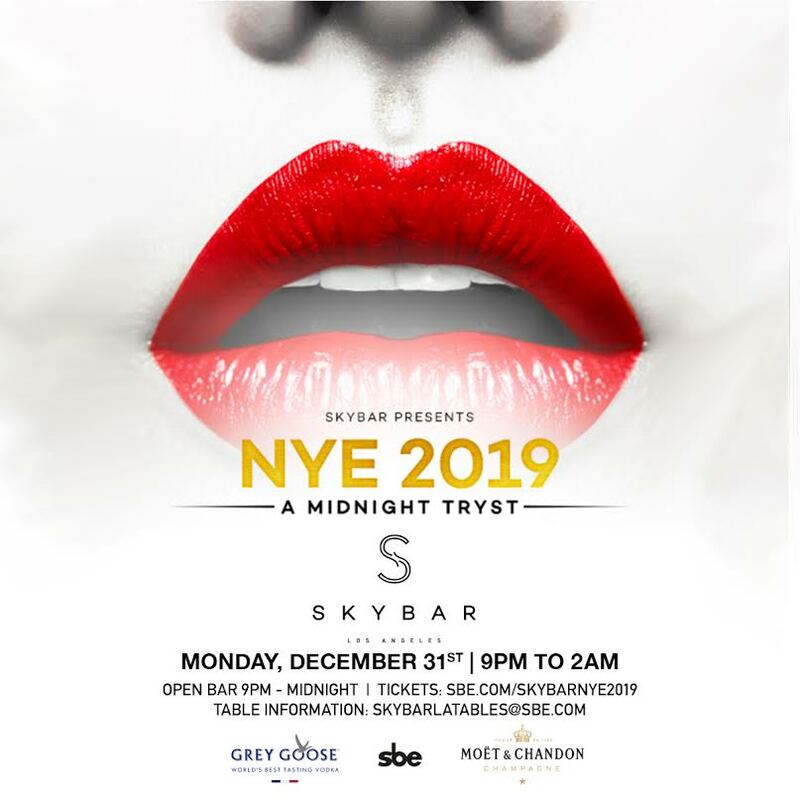 Los Angeles: we’re bringing you a New Year’s Eve party unlike any other at the Skybar at Mondrian Hotel, West Hollywood. 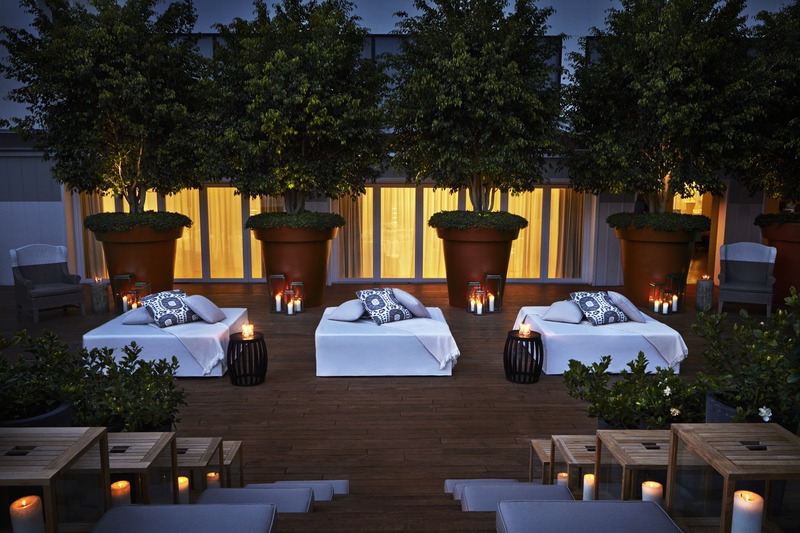 Sip champagne poolside and revel beneath the stars in this swank WeHo hotspot, overlooking the City of Angels. At Skybar, your NYE will glow like the Hollywood lights. With a two-floor penthouse space decked out in lush greenery and white furnishings, this party hub will contain all the excitement of New Year’s Eve. A live DJ spins back-to-back sets of hip hop, house, and Top 40, keeping the dance floor pumping. Enjoy every second of the three-hour open bar, culminating in the live midnight countdown with complimentary glass of prosecco/champagne. Craving the ultimate in luxury this NYE? Take out a VIP package with exceptional perks like table seating, bottle service, and more. 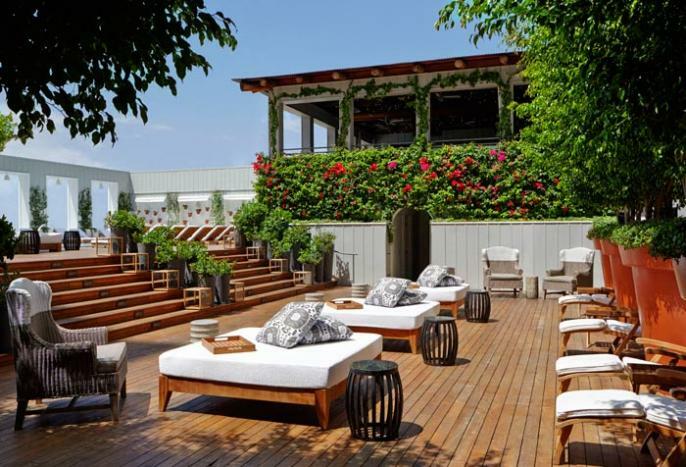 Skybar is a heavenly paradise that defines penthouse glamour in Los Angeles. Rising high above West Hollywood, this rooftop has one of the best views found in the City of Angels. Walls adorned with ivy, a white monochrome color palette, and pops of greenery take this exquisite lounge to bold new heights. Revered by the LA elite, celebrities like Adam Levine, Alessandra Ambrosio, and Michael C. Hall have partied at this exclusive locale. Take your New Year’s Eve to soaring new heights and revel in Los Angeles glamour at Skybar at Mondrian.